Jap.133 "Artemis' Affair!? A Mysterious Kitten Appears!" Darien is helping Rini out with some school work. When she starts to thank him though, Serena gets angry and interrupts and tries to get Darien to help her. Serena and Rini end up fighting and Darien stands up in frustration and tells them to stop fighting. Luna and Artemis enter. Luna is very happy with some new gossip; Artemis has a crush on a nun who works in the church! Artemis tells her that she's misunderstood but Luna doesn't want to hear it and enjoys teasing him. Darien says that the nun is rather good looking and doesn't blame him. Serena and Rini look at him angrily. Elsewhere, there's a burst of pink energy and clouds in the sky as something falls to the ground. A high pitched voice can be heard screaming and then commenting on working on that landing. Back at Serena's Darien decides to take Artemis away from the girls for some guy talk. 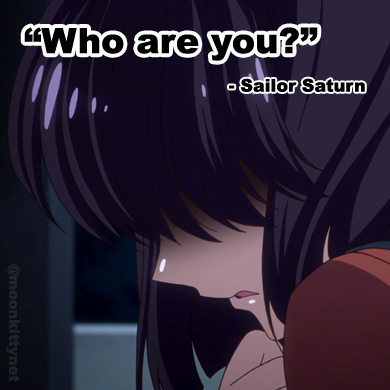 After they go, Rini and Serena talk about Artemis and Luna breaking up before they even knew they were a couple. Luna begins to think seriously about her teasing. Down the road, Darien tells Artemis not to worry about what Luna thinks but Artemis says that he doesn't understand either. Suddenly a little pink kitten walks up to them and calls Artemis "Daddy". Luna, who had followed him to talk to him sees this and goes ballistic at Artemis for first seeing a woman and now having a daughter! In the Dead Moon Circus tent, the Amazon Trio decide to target the nun Artemis likes (out of pure coincidence). Tigerseye gets right on it and goes to the church where the nun works. He pretends to be a parishioner interested in the church. After commenting on her flower arranging the nun confides in him that she's always wanted to make beautiful flower arrangements. At Mina's house, Artemis returns home to see Mina furious about something. After apologizing for numerous things he did he finally notices the phone is off the hook. Mina tells him that she'd just spoken to Serena who had filled her in. Mina becomes furious over the fact that he has had an affair with a human woman and has had a daughter. She tells him that she's always looked up to him but that she no longer can. Back at the church, Tigerseye has made his move on the nun and strapped her down to the usual panel and looked in her dream mirror. Artemis leaps out of nowhere and attacks Tigerseye but gets hit and knocked to the ground. 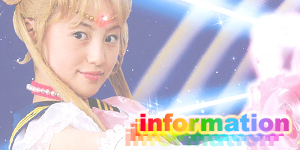 Mina who had come to the church with Artemis, transforms into Sailor Venus and attacks. Tigerseye summons Mikiguramiko who quickly transforms into a boxing kangaroo and magically makes Artemis her joey! Sailor Venus attacks with Venus Love Chain Encircle (though calling it "Venus Love Chain Knockout" probably due to the force of the attack). As the Lemres is hit though, Artemis screams out in pain. They're linked! 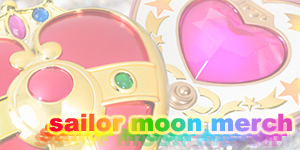 Serena and Rini who have just arrived transform into Super Sailor Moon and Super Sailor Mini Moon. 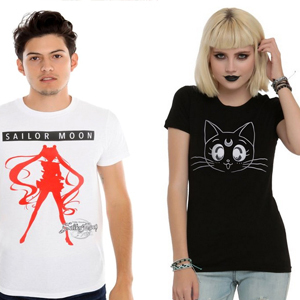 Sailor Mercury, Mars and Jupiter and Luna arrive also. Luna tries to rescue Artemis by biting the Lemres and even though it causes Artemis pain, he tells Luna to keep doing it. She's eventually thrown off and knocked out. Artemis, having enough of this, bites the pouch that's holding him, The Lemres throws him out. Tuxedo Mask then appears and attacks with a rose attack. He poses in a tree and pulls the kitten from before out of his hat. 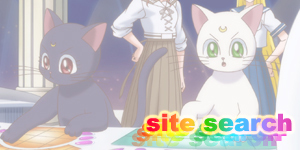 The kitten runs to the girls and greets Super Sailor Mini Moon who yells out the kitten's name, Diana in surprise. 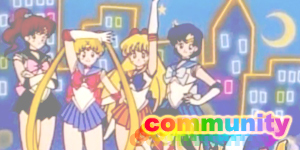 Diana tells Super Sailor Mini Moon that she can fix this problem. Super Sailor Mini Moon then performs Crystal Twinkle Bell which summons Pegasus who powers up Super Sailor Moon's Moon Gorgeous Meditation which defeats the Lemres. Later as they all watch the nun smiling at a wedding in the church they ask Diana how she knows Rini. 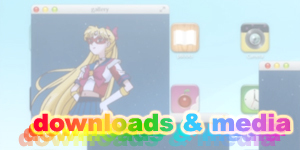 She explains that she's Artemis and Luna's daughter from the future and Small Lady's companion. Artemis then explains to Luna that he wasn't looking at the nun in the first place, he was looking at the church and thinking it would be nice to get married there one day. Luna begins to blush. Diana officially says greets everyone and hopes that they can all become good friends. The Lemres used today, Mikiguramiko (what a name!) had the ability to transform into a secondary kangaroo form. It's unknown if she could transform into other forms. She could also take someone else and magically incorporate them into herself, as seen by Artemis becoming her joey and being connected to her feelings. 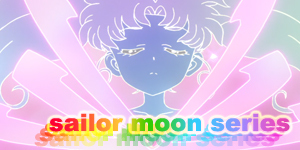 Eventually she was defeated by Super Sailor Moon's Moon Gorgeous Meditation. 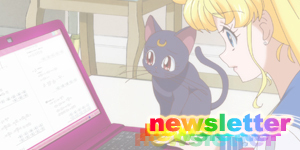 This episode of course featured the first appearance of Luna and Artemis' daughter from the future, Diana! 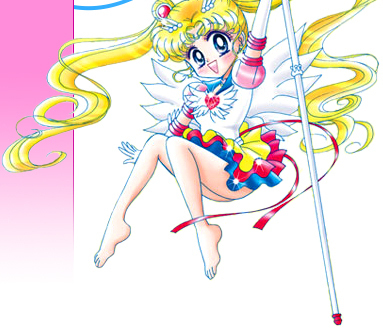 Interestingly enough, Diana first appeared during the R arc of the manga but for some reason wasn't included in the anime until Sailor Moon SuperS (two years later!). Japanese tv shows have a reputation for spoiling major scenes and even the endings of movies or tv shows in previews or tv commercials. This is why it's worth noting that they didn't include the arrival of Diana in the episode preview at all, making her appearance a big surprise for the audience when it happened.